Join internationally renowned permaculturalist, Rosemary Morrow, and special guests for two weeks of life changing permaculture learning. You’ll learn how to design resilient and robust permaculture systems for your own (and others) lives and landscapes in a supportive and beautiful learning environment. The PDC has been structured so you get to design your own property of choice, plus complete a permaculture design for a real life client and property. This provides you the opportunity to test and practice permaculture designing in a range of contexts with the support of experienced designers and practitioners right at your side to step you through it all. I loved this course. It hasn’t just changed my outlook on life – it’s changed my life (Anita, PDC student 2014). Just wonderfully fun. So well coordinated (always on time, always organised), experience of a lifetime, truly life changing. Thank you so much (Nysha, 2014 student). First and foremost, the PDC is a design course. It is not a hands on course where you actively get to grow food, build a house or ferment food… Although we do like to make yoghurt and kimchi with you (plus some other fun things), as it’s simple and powerful stuff. This means that while we will touch on the above topics, we will not focus on teaching you the practical skills for each one. Rather, we’re committed to teaching you foundation knowledge for each topic so you can create designs which are integrated, appropriate and darn clever. If you’d like to learn how to learn some hands-on, practical skills – have a look at some of the exciting short workshops we’ve got coming up! Rosemary is a well-known, respected permaculture teacher and practitioner who is also very down to earth. For almost 40 years she has worked extensively with farmers and villagers in Africa, Central and South East Asia and Eastern Europe. Rosemary has a special commitment to the people of war-torn nations such as Vietnam, Cambodia, Bosnia and Afghanistan. In between her overseas work Rosemary has developed several of her own properties in the Blue Mountains. Using permaculture principles the properties have become models for sustainable living. Rosemary is the author of ‘The Earth User’s Guide to Permaculture’ and ‘The Earth User’s Guide to Teaching Permaculture’ (supplied to all students) and is also a co-founder with Lis Bastian of The Blue Mountains Permaculture Institute. We also draw on further local teachers to bring a depth of experiences to the course. Hannah Moloney is a full time permaculture practitioner specialising in urban agriculture and community development. She has over 10 years of practical experience in designing, building and managing permaculture based projects. Hannah divides her time between teaching permaculture, designing, managing permaculture projects and establishing a small city farm with her partner, Anton Vikstrom, in their Hobart home. You can read more about Hannah here. She’s currently on maternity leave, but will be spending time in and around the PDC to volunteer her expertise and have a good time! Anton Vikstrom is a sustainability specialist (and a self confessed renaissance man) with over 15 years experience in urban agriculture, renewable energy, international development, energy efficiency and sustainability. Anton is one of those rare breeds with both deep theoretical knowledge and practical capabilities. Over the years, this has seen him work for the Alternative Technology Association, Cultivating Community and Sustainable Living Tasmania. At the same time he has finally honed his practical skills in everything from off-grid solar power, carpentry, landscaping, brewing beers and wines, fermenting, kite making and sewing. This course is being held at Tarremah Steiner School, approximately 15 minutes south of Hobart city. The buildings and grounds are incredibly welcoming and create a healthy, beautiful and fun learning environment. While the actual course starts on Saturday 4th April, we’re asking students to arrive on the evening of the 3rd at 4pm to set up camp, have dinner with us and settle in. This will ensure that we’re ready to get started on time the following day. Each day we’ll have four different sessions, starting at 8:30am and finishing at 5pm with ample breaks (and scrumptious food). The evening’s will largely be yours to relax, study, design and think (so much thinking and reflecting to do). However we’ll also run regular casual evening sessions to make sure you get the most from the course. We supply free camping onsite, please bring all your own camping gear. We strongly recommend you stay on site for the duration of the course as there are optional evening activities which are highly beneficial. It’s also an incredible opportunity to immerse youself in this unique learning experience which gives you SO MUCH when you’re able to be there 100%. We are Tasmania’s expert permaculture education provider, committed to facilitating meaningful and high quality processes for our students. We have REALLY applied our heads, hearts and hands to create this course to be one of the best permaculture learning experiences available. We pay for a one-year membership to a relevant organisation of your choice, so even after you leave the course we’ll still be supporting you in getting informed and connected with permaculture networks and resources. Upon completion of the course, you’ll receive a Permaculture Design Certificate which means you’re qualified to be a permaculture practitioner, teach on a permaculture design course and continue studying towards a Diploma, anywhere in the world. Cool hey! If you’d like to establish a payment plan so you can pay the course fee over a period of months we’re very happy to work with you to create that. 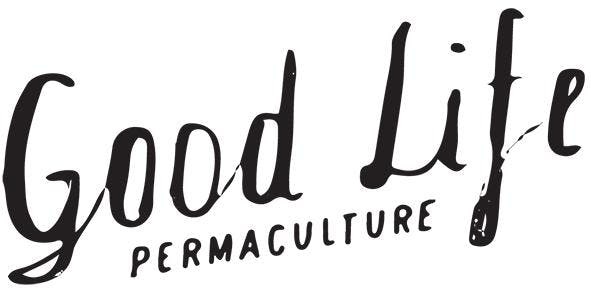 Please send us an email at hello@goodlifepermaculture.com.au and we’ll organise a system that suits you best. We ask that you give us two weeks notice if you choose to step out of the course; we’ll refund your fee, minus the deposit fee. Alternatively you can pass your place onto a friend or family member or choose to use this as credit towards one of our future courses. If we have to cancel the course for whatever reason, we’ll provide a full refund immediately.